From left to right: Juniors Gloria Chang, Maggie Zhao, Vicki Xu, Arunav Gupta, and Ishil Puri pose after the awards ceremony of the Conrad Spirit of Innovation Challenge. For the first time in the Conrad Spirit of Innovation Challenge’s 7-year history, a team of MSJ students won the most prestigious award, the Pete Conrad Scholars Award. 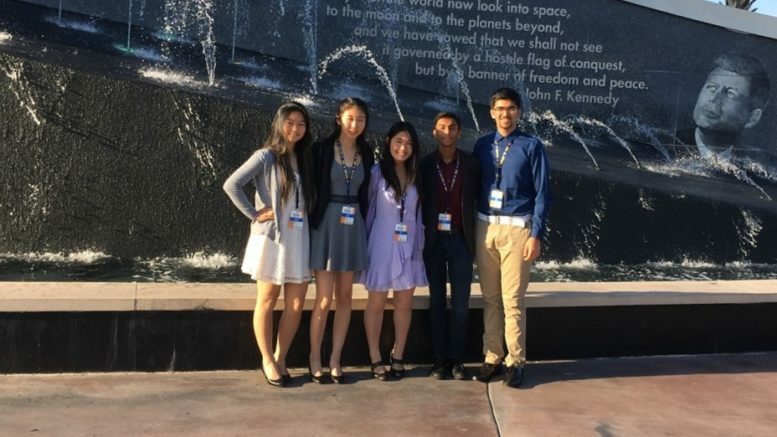 Juniors Gloria Chang, Arunav Gupta, Ishil Puri, Vicki Xu, and Maggie Zhao competed under the team name Aqualirio Labs at the Conrad Innovation Summit, which took place from April 25 to 28 at the Kennedy Space Center in Florida. The Conrad Challenge is an annual competition in which high school students write up and submit innovative ideas in one of the four categories: Aerospace & Aviation, Cyber Technology & Security, Energy & Environment, and Health & Nutrition. 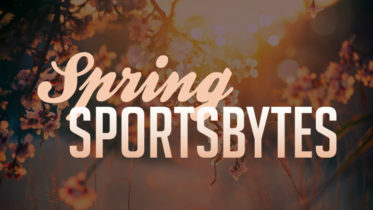 Each year also has a special fifth category, with the same rules but usually a more specific prompt. Aqualirio Labs competed in this year’s special category, Smoke-Free World, in which they were tasked with finding new methods to repurpose tobacco. The end goal in this category was to help support smallholder tobacco farmers who face decreasing demand for their product as smoking declines worldwide. In order to prevent this, Aqualirio Labs designed a business plan. Their business idea, titled Tabaci, centers around processing tobacco leaves as a cheaper way to collect squalane, a typically expensive hydrocarbon used in many cosmetics. Aqualirio Labs turned in a 1-minute online pitch video about their innovation to the Conrad Challenge, and proceeded to Semi-Finals, in which they wrote up a detailed business plan and filmed a 5-minute video selling their concept. Of the 49 semifinalists in Smoke-Free World category, Aqualirio Labs progressed into the final round along with 4 other teams. Finalists attended the Conrad Innovation Summit, where each team presented a 6-minute pitch to judges and fellow competing teams. At the event, students spent most of their time watching other competitors’ presentations, listening to guest speakers, and going on tours of Kennedy Space Center. On the final day of the Summit, Aqualirio Labs won the top prize in their category, the Pete Conrad Scholars award. In the coming weeks, they will receive a free market research assessment, access to scientific databases, and opportunities to apply for grants as they move toward making their concept a reality. Be the first to comment on "MSJ Team Outperforms All Competitors, Wins Big in Conrad Spirit of Innovation Challenge"